No phrase in psychology has become more clichéd than self-esteem - it appears on t-shirts and mugs, and has moved from a psychological concept to marketing tool. But self-esteem is a serious concept. A brilliant British clinical psychologist, Melanie Fennell has spent her whole life working on the problems of low self-esteem, asking what is self-esteem, and if we struggle with it, how do we improve it? From Fennell's perspective, self-esteem is a short-hand for the collection of beliefs you have about yourself and the type of person that you are. When our self-esteem is positive then we often believe that we are good enough to manage the challenges we come across at work, with friends or in our relationships. When our self-esteem is low, we often believe that we are not of value, we are only as good as what people tell us or only as important as the work that we produce. When our self-esteem is low we often don't value or appreciate ourselves as human beings. Research over the last forty years has found that low self-esteem is associated with negative day-to-day behaviour, emotions, physical well-being, lower school and work achievement, poorer personal relationships, engagement with leisure activities or how well we look after ourselves. 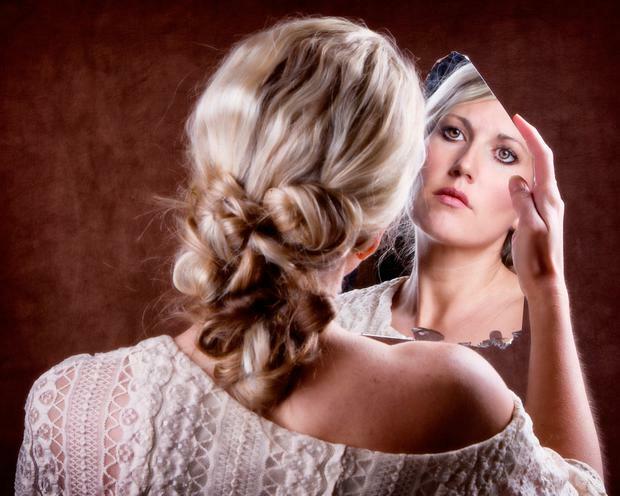 These negative beliefs about ourselves often develop from negative early life experiences. The experience of being overly punished or emotionally ignored as a child, often leaves us believing that we are not good enough, or not worthy of love. Failing to meet high parental standards leaves us believing that we are only of value if we can achieve highly. Failing to meet peer group standards can leave us feeling that we are different and do not belong. Our self-esteem can drop later in life, if we have repeated experiences of failing, experience workplace bullying or abusive or negative relationships. Out of these experiences, we often develop unconscious "rules for living" such as we should always work hard or we should never lose our temper. But there is a problem in this. In reality, we won't always work hard; sometimes we will lose our temper. We are only human. But when we are critical of these moments of humanity, then our self-esteem just gets lower and lower. We become the bully in our day-to-day life that we might have experienced in our early life. So what can we do? Because, low self-esteem builds up over years, it can take a long-time to improve it, but here are five quick tips to get you started. Start with a pen and paper. Write down what positive qualities you possess. Notice as you start this exercise the urge to move away the thoughts that pop in that say: this is stupid or how unnatural it feels to be saying something positive about yourself. Notice these urges to criticise and write something positive anyway. It doesn't have to earth-shattering. If you bake a good brownie, then you bake a good brownie. Notice the thoughts that came up in the previous exercise: "that's very egotistical", "it doesn't feel right". Notice these negative thoughts crop up a lot and they don't help you. They probably hurt you. Ask yourself why do you criticise yourself? When did that start? What value does the criticism bring? Is the criticism always true? If you bake a good brownie then that is something that you do. You are not claiming that you are going to win The Great British Bake-Off. It is ok to say that I am good at something, without immediately tearing it down. Start to notice those self-critical thoughts in everyday life and start to put them on pause or challenge them. Often when we are negative about ourselves, we are overestimating the chances something bad will happen. These predictions give a strong sense of being at risk of failing. So what do we do? We avoid, duck and hide. "If I never do anything then I never feel stupid for making a mistake". Only problem, if I never do anything, I can never build up my self-esteem. To build up our self-esteem, we need to re-start old things that we used to do. Take on new things that we never did. Push the boundaries a little bit further. Enjoy ourselves a little bit and start to see that we are able to do these things. Not someone else. We are able. 4 Change "rules for living"
Our "rules for living" are often learned, part of the culture that we grow up in, unreasonable and linked to powerful emotion. They are often phrased in our minds as "I must always…" or "I should never…". The first step is to recognise the rules. The next step is to break the rules. Start asking are they reasonable? Would I expect anyone else to follow these rules? What is stopping me from leaving them behind? What could I use instead of these rules? Often low self-esteem is built on negative core beliefs that developed in early life such as "I am not a good person" or "I am not a likeable person", except these beliefs aren't true. They couldn't be. They are too simple. You are complex. You are good and bad, flawed and competent. You have extraordinary moments and lots of ordinary moments. You change over time. Who you were as a child is not who you are now. You act differently in different situations. Your beliefs don't represent the whole of you. Negative core beliefs like these don't capture a fraction of how complex you are. So what does? More balanced, kinder, more flexible beliefs. So let's start to work those out. Who is the type of person reading this article? Someone inquisitive, psychological and open to change. Well, good self-esteem starts right there. • Dr Keith Gaynor is a senior clinical psychologist in Saint John of God Outpatient Psychological Service, Saint John of God Hospital, Stillorgan, Co. Dublin.